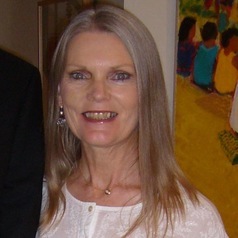 An Australian diplomat for thirty years, served in Australian diplomatic missions as a political and economic policy analyst in Rangoon, Nairobi, New Delhi, Kuala Lumpur and Washington DC before being appointed Australian High Commissioner in Harare (1998-2001), accredited to Zimbabwe, Zambia, Mozambique, Angola and Malawi; then Australian Consul-General in Noumea, New Caledonia(2001-2004). Currently Visiting Fellow, ANU Centre for European Studies, writing on France in the South Pacific. Denise is also the author of the book, France in the South Pacific: Power and Politics (ANU Press, 2013).